Why is today - as opposed to earlier - Diversity and variety at the complementary feeding recommended? 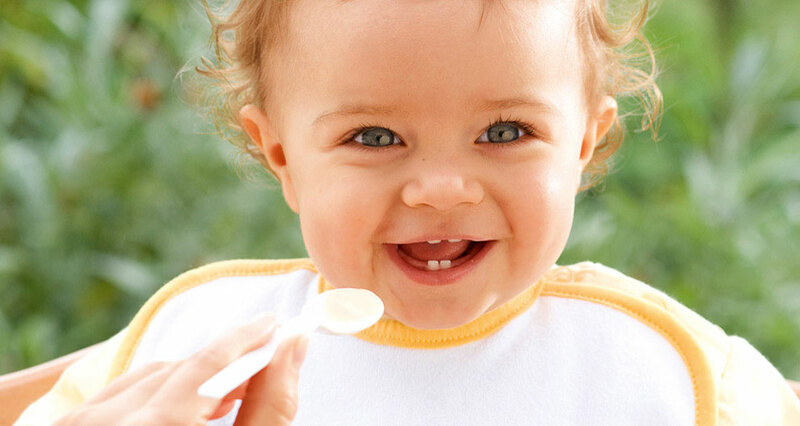 In the beginning of weaning food, babies are especially open to new flavors. It is therefore recommended offering babies at this age a healthy variety of food. When babies get used to different flavors and healthy foods as early as possible, they can accept them better later. Furthermore, a diversified diet of healthy ingredients ensures a balanced nutrient intake. It was advised to avoid one-side diet to prevent allergies. Nowadays it is known as shown by many scientific studies that it is also important for the immune system to meet ingredients such as fish, egg or milk already in weaning food stage. How can I best implement this recommendation in feeding my baby? The lunch menu is the first complete weaning food for babies. It is wonderful that there are many delicious options here at HiPP for frequent changes. After your baby has well been used to eating from a spoon and have gradually built up this weaning meals, you can make every day a fun day. For example, one day you serve a menu with Carrots with Potatoes and Salmon. And the next day Pasta with Ham & vegetables is chosen. You can select different types of vegetables, meats, bring occasional fish and vegetarian meals variety in babies diet.